Joey was a really good kid, but when his blood sugar was high he went from a great, nice, polite kid to a monster! And it would happen in a matter of minutes not hours. It doesn’t mention being sassy on the picture of typical High and Low blood sugar behaviors, but I promise you it’s a symptom! 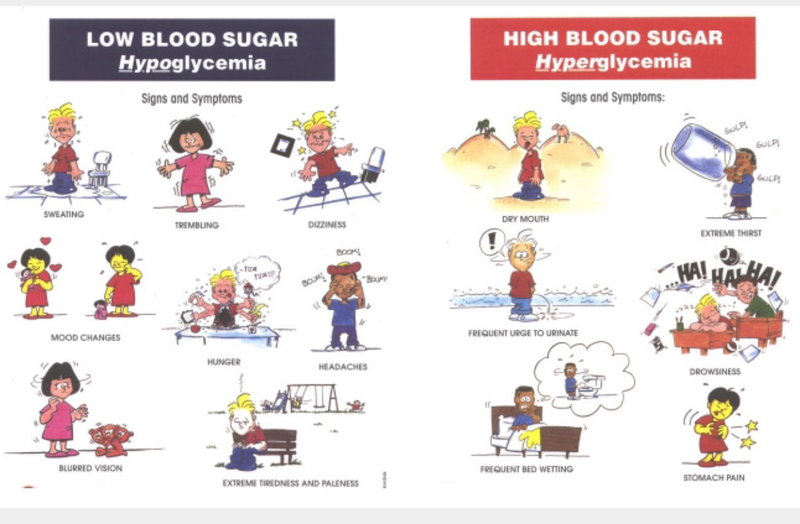 I’ve seen kids with high blood sugar act out in crazy ways, like one time we were at a middle school spring band concert. There was a kid climbing underneath the dessert table, while he was waiting to perform! His mom grabbed him and had him check his blood sugar. When low blood sugar is a factor it’s a sense of urgency! Give me food or a drink now!! Joey carries a juice pouch with him at all times, but prefers chocolate milk as a way to bring up his blood sugar. Joey would get sweaty and pale when his bs dropped to below 70, I could always tell. And he would get kind of mean- I need food NOW! As a teen he’s pretty in tune with his body and can tell if he’s high, low, or in range! Totally can relate! 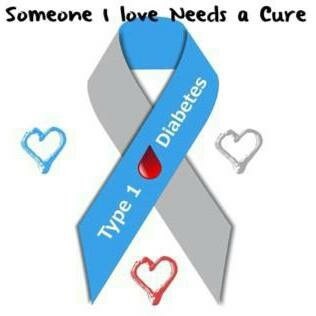 My 9yr old t1D is a very sweet girl, but when she goes high or low, she turns into someone realy different. Thank you for your blog, I don’t feel alone in this world of t1d parenting. God bless you more! Hi Carole, it is nice to know that we aren’t alone! God Bless You too!